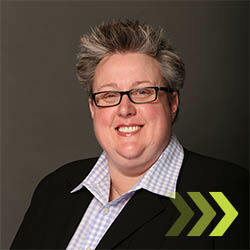 A thought leader in mobile STEM education, Jennifer Colvin is Learning Undefeated’s Vice President of Education and provides strategic direction of Foundation education programs, objectives, and new initiatives. Jen has built and launched four successful mobile laboratory programs and was the founding member of the MdBioLab team in 2003. Jennifer has extensive experience developing and delivering informal science education programs, including two Maryland-based mobile laboratory programs and equipment loan programs developed for middle and high schools students, in addition to professional development workshops and seminars for educators and life science professionals. Jennifer’s scientific background includes substantial genomics and high throughput DNA sequencing research, development and quality control experience. She is Chairman of the Mobile Laboratory Coalition Board of Directors and serves on the Executive Board of the Maryland Association of Science Teachers. Jennifer received her undergraduate degree in Biology from Pennsylvania State University.